Kindly supported by Deloitte Real Estate, the Economic Research Council are hosting a sixth discussion to debate the future of housing and house prices, and what we can expect to happen to the UK’s property market in the future. Last year we examined the Build-to-Rent sector, but this year’s event will return to a consumer focus––what will happen to the value of your home? Will you ever be able to afford a home? Which areas are booming? Camilla Dell is Managing Partner and founder of Black Brick Property Solutions LLP. Camilla has worked in the London property market since 2002. She is highly experienced in meeting the needs of demanding domestic and international property buyers. During her career to date, Camilla worked for two of London’s largest and most successful estate agencies, Foxtons and Knight Frank, before setting up Black Brick in January 2007. 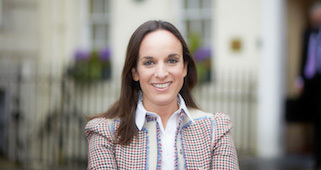 Since then, Camilla has grown the firm from a two person start-up to London’s largest independent buying consultancy. The Black Brick team collectively boasts over 80 years’ experience in the London property market and has successfully sourced and acquired nearly £1 billion of residential property for private clients. Camilla’s professional, energetic and tenacious approach to property finding, her total dedication to her clients’ needs and her expert negotiation skills have won her huge loyalty and trust amongst her clients who include some of the world’s most successful businessmen and entrepreneurs. Black Brick has a high profile in the residential property sector and Camilla is frequently asked to comment in the press and speak at large international events about the London and UK property market including the Bloomberg Markets Most Influential Summit 2015. Camilla was also recently voted in the Telegraph’s Property Power List as one of the top 25 most influential people in British property and was included in the Spears 500 in both 2015 and 2016, an essential guide for high net worth clients. 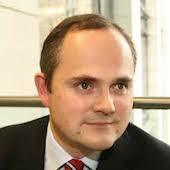 Marcus Dixon is Head of Research at LonRes, the property data system. LonRes has redefined estate agency and professional valuation in central London. Over 2,500 subscribers log on to the LonRes system each day to take advantage of commission sharing opportunities, access unique, real-time data on London’s sales and lettings markets and benefit from the most comprehensive archive of London properties in the market. LonRes is more than data; it’s a community where property professionals come together to share information and discuss the critical issues impacting their sector today. LonRes’ two co-founding directors draw on over 60 years of combined experience working in London’s real estate market. Chris Baldwin is a Partner at Deloitte within the Corporate Finance Real Estate team with over 20 years of residential property experience. He leads the House Builder and Residential sector within Deloitte and has responsibility for managing the Residential Valuation Advisory Group. He has worked with a range of private and public sector clients across the UK and has considerable experience in dealing with House Builders, Local Authorities, Registered Providers and Student Housing Developers and Investors. Deloitte Real Estate, 2 New Street Square, EC4A 3BQ. 6.30pm – 9pm. Non-members can book Early Bird tickets here for £15 (£10 for students). Members can reserve their free place by emailing us info@nullercouncil.org.